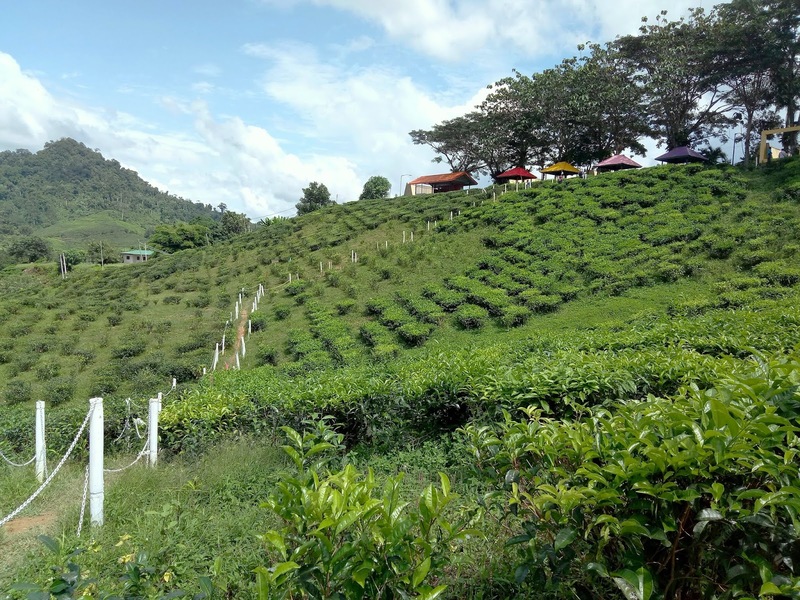 Sabah Tea Resort is located on the rolling hills near Kampung Nalapak, approximately 20 kilometers from Ranau. This attraction is open to the public. Admission is free. Spanning over 2,500 hectares of temperate farmland, Sabah Tea Garden is the largest tea plantation in Sabah. It has a gift shop where visitors can purchase its tea products. 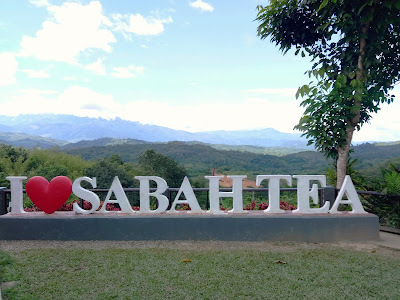 Sabah Tea Restaurant is an open-air restaurant next to the tea plantation. While dining, customers enjoy a scenic view of the majestic Mount Kinabalu. The mountain looks imposing despite being 30 kilometers away! 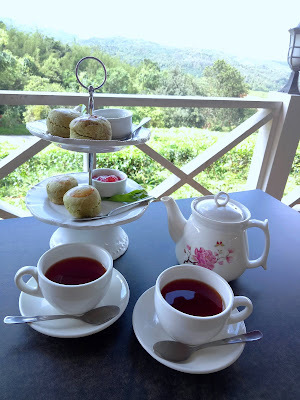 Sabah Tea Scone Set (RM23.50) is served on a tier stand and comes with a pot of tea for two persons. 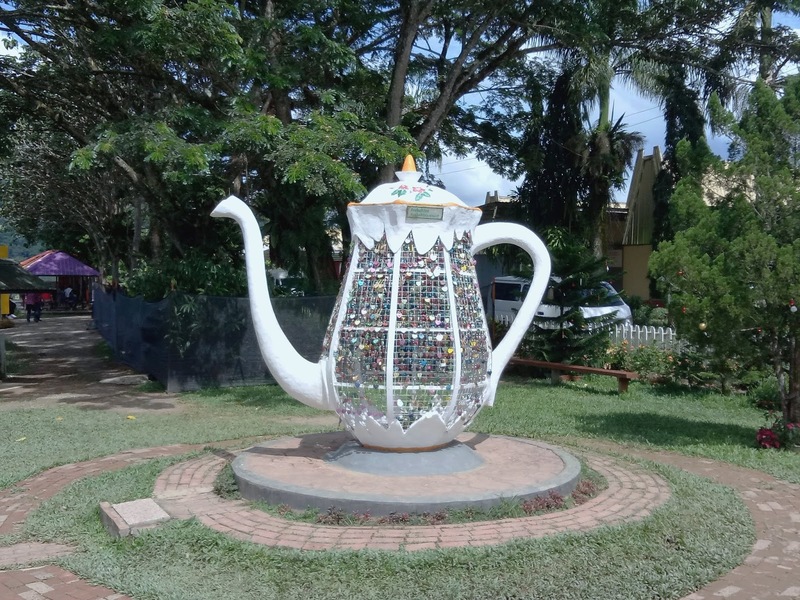 Tea is brewed separately and then poured into the teapot. 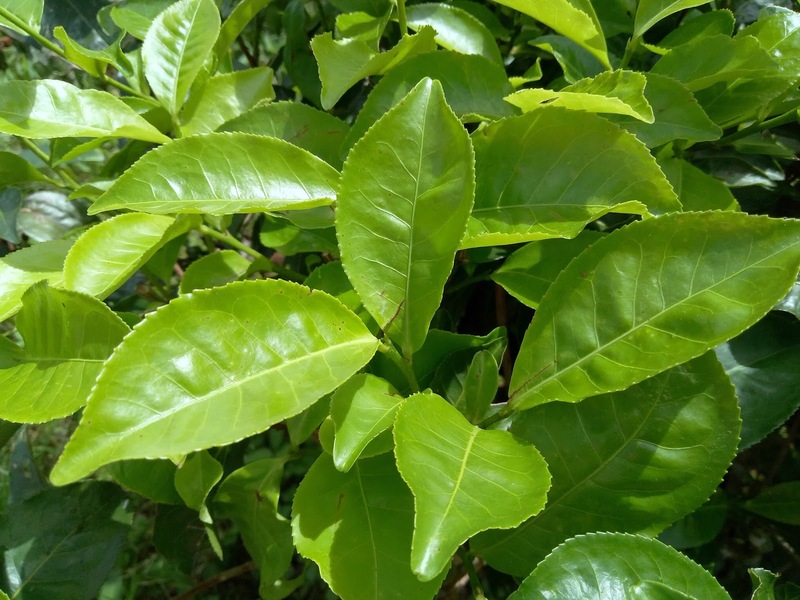 I was expecting tea leaves to be steeped inside. The four scones are flavored with green tea. Jam and cream are provided as spreads. Unfortunately, the taste of green tea is very mild; it mainly serves as coloring. In addition, I feel that the scones are too dry for comfort. 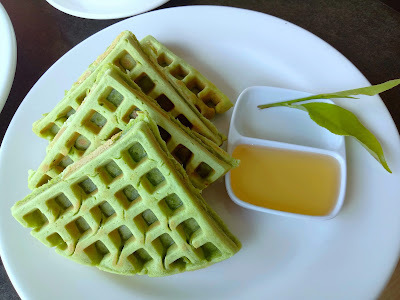 Sabah Tea Waffles (RM15.50) are also infused with green tea. Besides aesthetic appeal, the waffles are indistinguishable from regular waffles. Honey is provided, but I think some butter would be great. 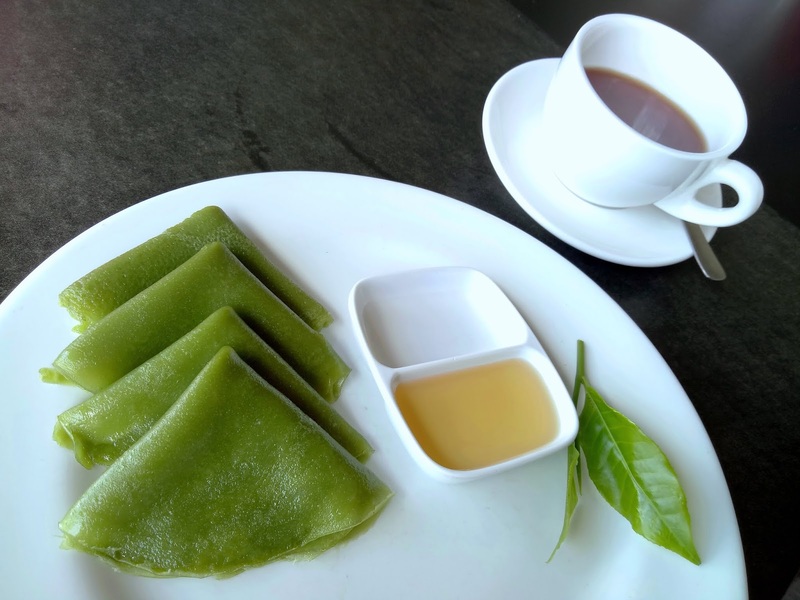 Sabah Tea Pancakes (RM12.00) are soft, chewy and slightly moist. They appear more similar to apam balik than to Western pancakes. The pancakes are served with honey. Overall, the food taste is acceptable but there is definitely room for improvement. 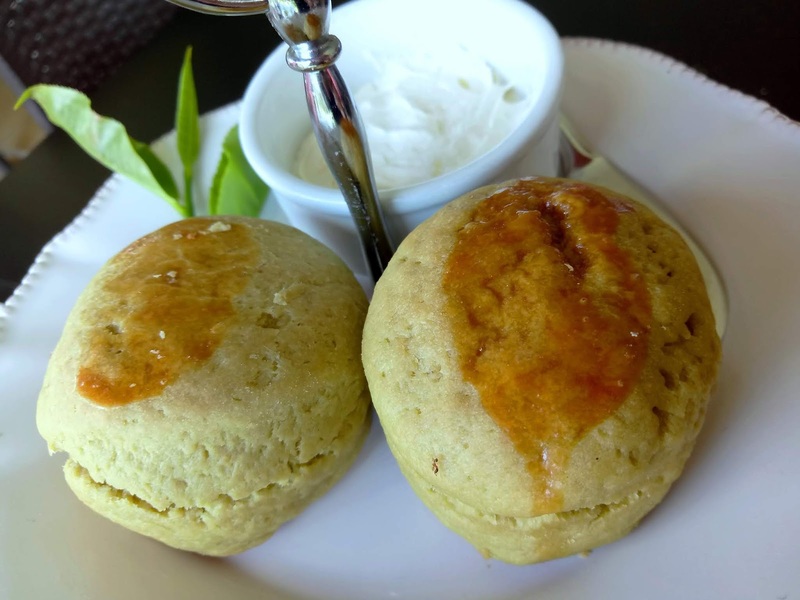 Scones, waffles and pancakes could have been much better if green tea were given a more prominent role. Sabah Tea Restaurant also serves a variety of local and Western dishes. Unfortunately, we did not have the opportunity to order more food today.